Here’s a cool item for off-grid goers on the move: you get heat and power from your own fuel, like simple wood found on your way. 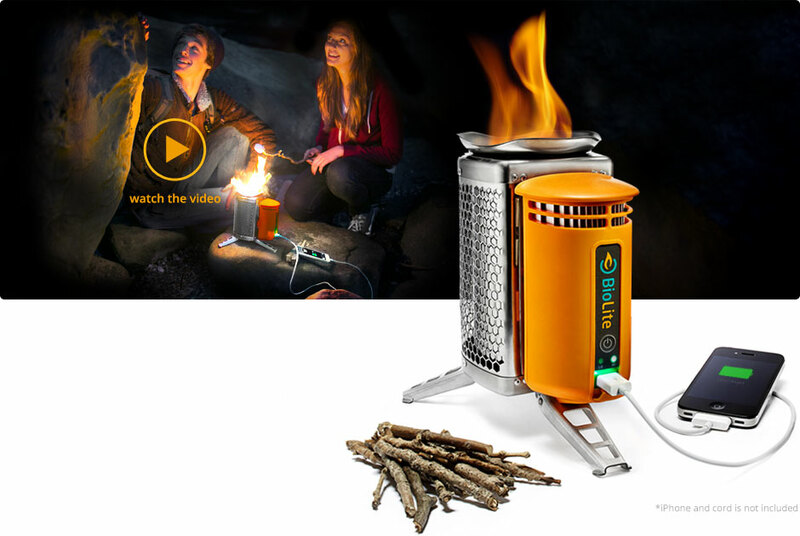 Actually the idea from BioLite comes a long way back, from the observation that almost half of the world population cooks their food from open fires – regardless of the toxic exhalations and the damages to the food. The portable stove delivers heat from a close chamber preventing the food to be exposed directly to the flames. But the cool feature is the tiny embedded thermolectric generator: it is rated to deliver 10W of power – enough to power up small appliances (an i-Pad is credited to require 5 W at 5 V – although with i-Pad you’d better pay more attention to the actual power requirementes) or LED lights or whatever you might need in an emergency situation or on a camp or simply at off-grid dwellings. The manufacturing company has been funded by VCs, and looks ahead to sell into many of the African countries, where people with no – or extremely poor – power grid close-by are increasingly expanding the adoption of mobile phones.